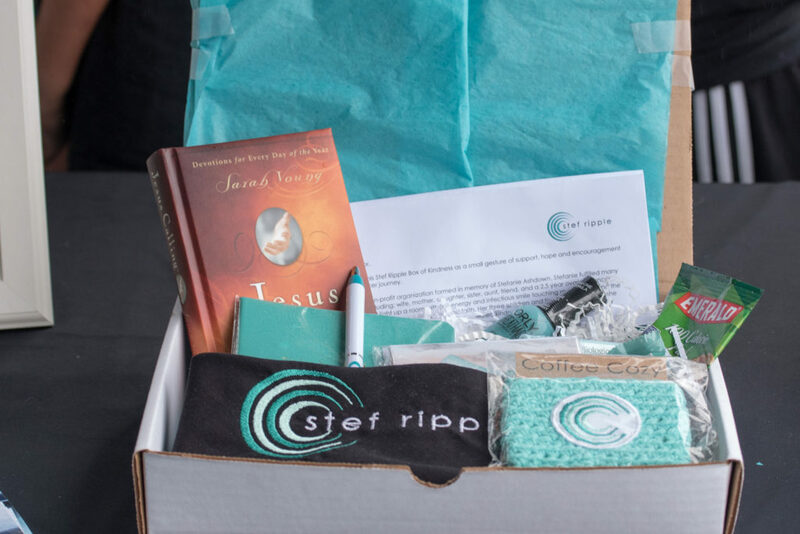 The Stef Ripple Kindness Box is a small gesture to help provide support, hope and encouragement to newly diagnosed ovarian cancer patients. During Stef's cancer journey there were many things that were important to her and we feel like she would want to share these things with other ovarian cancer patients. To request a Kindness Box or to send a Kindness Box to a newly diagnosed ovarian cancer patient please fill out the request form. If you would like to sponsor a box please see how you can do this under the donations area below. Thank you for helping us support an ovarian cancer patient and spreading kindness! - Small teal items that will bring a smile to an ovarian cancer patients face! Please email us for information on where to drop off donations. Thank you!